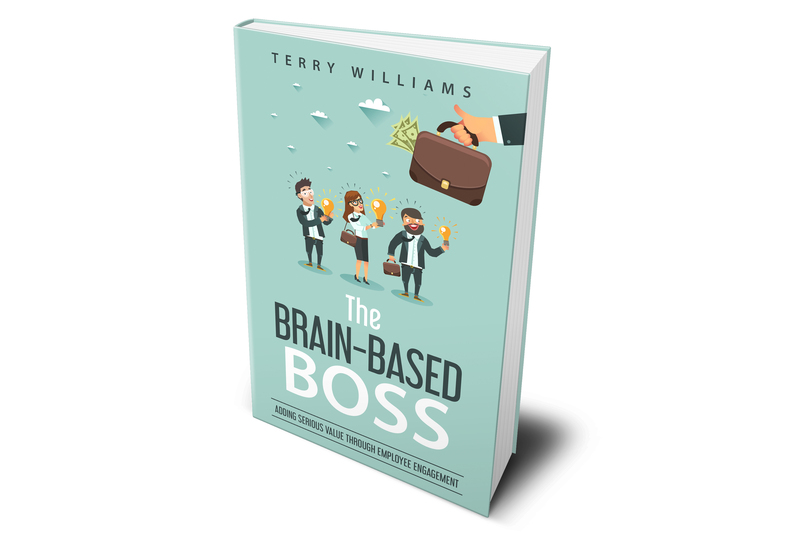 Terry Williams – The Brain-Based Boss | The Brain-Based Boss. 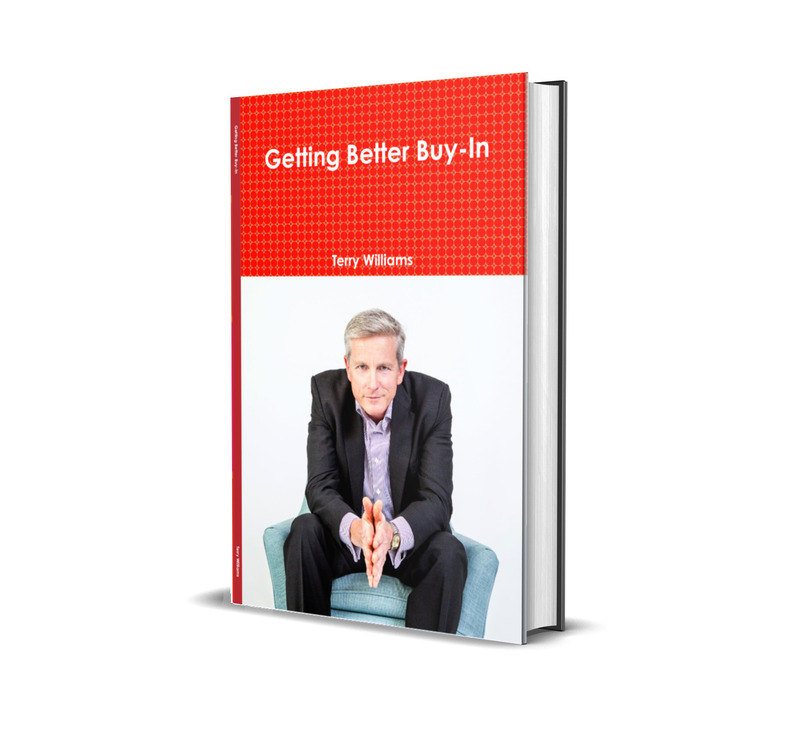 Terry Williams = Engaged People = Improved Results. What is a ‘BackBrief’? I first encountered the concept running a delegation workshop for a prestigious lawfirm. The point of delegation is to drive optimal productivity, right. The lowest cost resource that can do the work should be assigned to do that work. The high-cost resources such as the partners, specialists and so forth should be doing high value work. Those in supervisory roles need to be delegating effectively, using systems to ensure work is done to standard, to time, and on budget. There’s a lot that I could write about delegation and perhaps will in future but, for now, I want to focus in on one person. That person is a senior solicitor in that firm. He knew at a logical level that he should be delegating but his personality was such that he struggled. “No one can do this as well as me”. “Even if someone could do this as well as me, it won’t be the way that I would do it”. “Look, it’s just quicker and easier if I do it myself”. Obviously those are just excuses and you can probably counter those excuses yourself. It’s short-term thinking, ultimately unsustainable, and certainly not optimal productivity. He was however able to cite several instances where he’d assigned work that ended up being poorly done, or not done at all, due to a lack of understanding on the part of the people being assigned the work. You could argue that adult professionals should not go around nodding that they can do a task when they aren’t sure. You could assign blame to the delegator who is ultimately still accountable for the work and its quality and timeliness. Better is to implement a simple system that invests a small amount of time upfront that ensures there is accurate understanding or there isn’t. Another lawyer in the room was ex-military and she introduced us all to the concept of the ‘BackBrief’. A ‘BackBrief‘ is exactly what it sounds like. 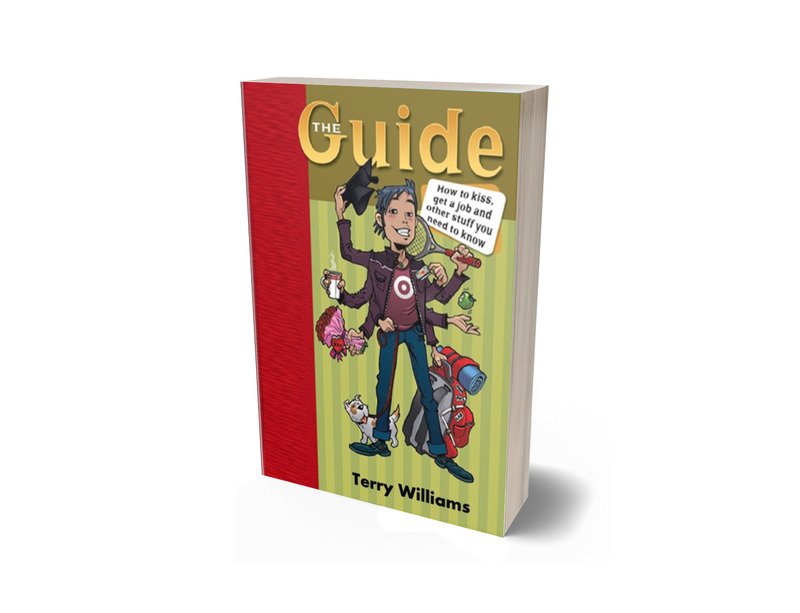 The person or people receiving the instructions give a synopsis of the instructions they just received. The person originally giving the instructions can then determine whether the message was received properly. If it’s a small task, then the ‘BackBrief’ might be a swift verbal remark. If it’s a task of substance, then it might warrant some time and a small presentation. It’s a great idea I’ve been introducing in my workshops that a lot of professional non-military workplaces are picking up on. Sign up for a monthly email summarising posts like these. Do You Think Your Culture Supports Critical Thinking? At the end of last year and into this fresh new year, I’ve been running some workshops with a big corporate on critical thinking. The emphasis is not so much about the mechanical elements like models, tools and processes, although they do prove popular. The intent is much more about creating, maintaining and supporting a culture that is friendly to critical thinking and thinkers. They’d like a ‘don’t shoot the messenger’ kind of vibe. Like any organisation attempting to bolster its stock of skills, there are a few ways of going about it. Training is an obvious one and, as a trainer by trade, I am not going to talk you out of that. Depending on the money you’ve got to throw around as an incentive and what time pressures you’re under, another option is to recruit or outsource that skill. What if we’re not talking about the skill of critical thinking though; what if we’re talking about the critical thinking attitude? Do we recruit that? Could we outsource it? Is it even possible to train it? Before we tackle these questions, let me start by saying the moment you reveal to any trainees a bunch of critical thinking tools, they may well have the intention of applying these on serious strategic and operational work issues and projects but that’s not the first thing they think might benefit from the tools. People default to their personal lives and decision matrices, forcefield analyses and cause-effect diagrams get applied to wedding plans, house purchases and to relationships (both forwards and retrospectively). I swear there is a fortune to be made for critical thinking trainers in relationship decision-making, although that is a workshop I definitely do not want to run! All jokes and broken marriages aside, providing tools that normal people can see as relevant and applicable to their personal and work lives is one element of nurturing a culture. Get enough people engaged like that and you generate noise and interest. Soon there is a critical mass and a tipping point. It’s less some weird new thing that we learned on a course that we use on special occasions; it’s become more of ‘the way things are done around here’. Yes, you can train it. Yes, you could accelerate the process by recruiting it. As long as you are adding competencies like teamwork, customer service, and problem solving to your list when recruiting, would one more hurt? The trick in the tale though is if you recruit critical thinkers or people inclined to do so, but then once they arrive it becomes clear quickly that critical thinking is not the ways things are done around here. Training is not going to solve anything other than a skill issue. What would be helpful is some role modelling and structural elements that make critical thinking part of business as usual. When newbies witness someone sticking their head above the parapet to critique something in a healthy way, what happens next is a powerful and essential indicator of the extent to which they’ll ever stick their own head up. As part of any onboarding / induction process, it would be helpful to create or immerse new arrivals into situations or simulations where people do apply critical thinking and their input gets acknowledged, addressed and perhaps even rewarded. When you google the term ‘critical thinking’, the top three results are: what are the five critical thinking skills; what are the six critical thinking skills; what are the seven critical thinking skills. Are critical thinking skills like razors? They just keep adding another blade as some never-ending marketing game of chicken? I think the ‘five people’ should talk to the ‘seven’ people. I think a critical component of critical thinking isn’t the comprehensiveness of the toolkit nor the 5-7 skills required. I think it’s the ability to better understand the way we think and the ‘why’ and ‘how’ of getting to our conclusions. That requires a self-awareness or a desire for a self-awareness that should be aimed for in recruiting, supported during onboarding and boosted via subsequent training and practical application and reinforcement. It’s fantastic that for years we’ve been able to walk into parent-teacher meetings in many New Zealand primary schools and see DeBono’s six thinking hats posters on the wall. (Look it up). A classic critical thinking tool being used by educators across a society to enable kids to think critically and examine ideas from differing perspectives if they choose to do so. (That’s the trick, especially during election time). Kids, the employees of tomorrow with ever changing and expanding content need to know how to think not just what to think today. I’m not sure how many boardrooms or planning spaces have those posters. The google debate rages over whether there are five or six or seven critical thinking skills but there are always only ever six thinking hats. Here is an excerpt from my book ‘Live Work Love: #Add10QualityYears’. Available on Amazon. The British Medical Journal in August 1999 published a study of 3000 people aged over 65 that they followed for 13 years. The study tracked their participation in activities such as swimming, walking, shopping, volunteer work, social group activities and so forth. It transpires that social engagement is the best medicine. “Such activities should not replace exercise,” Glass cautions, “but exclusive emphasis on exercise may be overly narrow. It is clear from our study that social engagement can have as much effect on prolonging life as fitness activities.” The smart move at whatever age is to double up and participate in exercise-based social activities. Notice now the massive increase in the popularity of group sessions at gyms and with personal trainers. It’s not just another way for gyms to charge multiple people at once instead of a single-customer personal training session. The evidence suggests you might get as much benefit from the interaction as from the exertion. The exercises might change by the time you’re 70 but the social benefits remain the same. In other research, Glass and two colleagues tracked the effect of social disengagement on 2,812 people 65 years and older for 12 years. They found the odds of experiencing cognitive decline were approximately twice as great in those reporting no social ties than in those who had frequent contact with relatives and friends, attended religious services, or participated in regular social activities. Another study revealed that rats who sustain brain injury and who socialize and have fun during recovery do much better than those who are socially isolated, even when both groups receive optimum physical care. This is why I’m not a scientist – I don’t know what rats do for fun. We get influenced by the habits of our friends. We get a sense of belonging, purpose and self worth. It also works the other way though. For example, 56% of people trying to eat healthily will eat crap to avoid insulting a host, boss, client or family member. 51% will eat crap to fit in with the group. So, it pays to choose our friends wisely and ‘audit’ your ongoing value to each other. If you have a best friend at work, you are seven times more likely to feel engaged in your job. Friends have a powerful social influence. For one obvious example, be observant the next time you’re out for dinner with a group of friends and you get to that point of the evening when the waiter or waitress shows up and asks, “Would anyone like to see the dessert menu?” I’d gotten into the habit of saying something witty about just having a look, or at least something as witty as I was capable of after however much wine had entered my system before dessert. (ie most of it.) Now, I shut up and watch. You should too. The most common group dynamic when that question is asked is a fleeting flurry of eye contact amongst all members of the table. Each member of the group is determining their response to the question based on their perception of the likely reaction of everyone else. Again, the first person to react over-influences the subsequent responses of everyone else. The restaurants know this. It is in their interest to sell more desserts and to keep you drinking the higher profit margin drinks, and if you stay for dessert, you’ll be there longer and you’ll get more drinks. Again, observe the waiter or waitress. They do not just ask the general group of people at the table a question. The question is directed at the person they think is most likely to answer, “Yes.” Just like lions hunting gazelles, the restaurants prey on the weakest member of the herd. And, in your group of friends, you all know who that is. If you don’t, it’s you. Psychological priming is where a behaviour can be steered by exposure to a previous stimulus. Give two groups of research participants free cookies while filling in a fake quiz but expose one group to the smell of cleaning products and you’ll find the clean smell-primed group tidies up their crumbs and plates twice as often. The social influence of friends and menu choices is a form of priming. But priming doesn’t work if you know it is happening. So, armed with this knowledge, take a bit more control over what you consume and spend. Tell your friends. That’s what friends are for. In a very recent piece of research, ‘Bad Boys: The Effect of Criminal Identity on Dishonesty,’ Alain Cohn, Michel Andre Marechal, and Thomas Noll reveal a potential negative application of priming effects that you and I might be able to flip and use with our friends to more positive ends. In a maximum security prison they had prisoners privately toss coins and then say how many times the coin landed heads. The more heads turned up, the more money the prisoners got paid. The researchers couldn’t tell if any single prisoner was honest or dishonest but they did know that on average heads comes up half the time, so they can assess in aggregate how much lying there is. Before the study, they had half the prisoners answer the question “What were you convicted for?” and the other half “How many hours per week do you watch television on average?” The result: 66% heads in the treatment where they ask about convictions and “only” 60% heads in the TV treatment. Being reminded or primed about their dishonesty drove greater dishonesty in their behaviour. How dishonest are prisoners versus everyday people? When they play the same game with regular citizens, the coin supposedly comes up heads 56% of the time. Most people are also dishonest but less so than primed or unprimed prisoners. Flipping this notion of priming, we need to find ways of subtly ‘reminding’ ourselves or our loved ones that we are the sort of person who behaves in ways that support us in boosting our healthy and productive lifestyles. This would vary from person to person and over time. One suggestion might be agreeing to exchange a daily text at an agreed time with a buddy. Nothing arduous, mentally taxing, syrupy or faux motivational – just some words about whatever it is you’re trying to support each other on. Remind them that they are whatever they need to be. Routinise it and prioritise it. A University of Virginia study looked at participants sent out to estimate the steepness of a hill before setting out to climb it with a weighted backpack. Half the participants had a friend with them and half did not. Those with friends guessed lower steepness levels and the longer the friendships with their climbing companions, the greater the underestimation of steepness. Having a friend with you not only lowers your stress levels as we’ve identified earlier, it makes the task ahead seem less foreboding. And we know how our perceptions and preconceptions can affect us physically. Even if your buddy and you end up in a debate over things, that’s not inherently bad. In fact, it is really only your good friends with whom you can genuinely argue and care about the meaning of the result. Arguments with friends stimulate the plasticity of the brain. Surround yourself with people with helpful values, not necessarily the same as yours. Identify your ‘inner circle.’ Be likeable. Create time and opportunities to be together. Social isolation is a major risk factor. Having no friends or low-interaction friends is as bad as smoking 15 cigarettes a day, as dangerous as being an alcoholic and twice as harmful as obesity. In a six-year study of 736 middle-age Swedish men, attachment to a single person didn’t appear to affect the risk of heart attack and fatal coronary heart disease, but having friendships did. Only smoking was as important a risk factor as lack of social support. The New York Times reported on some sub-research by a pair of social scientists named Nicholas Christakis and James Fowler using the information collected over the years by the Framingham Heart Study. Founded in 1948 by the National Heart Institute, the study follows more than 15,000 Framingham residents and their descendants, bringing them in to a doctor’s office every four years, on average, for a comprehensive physical. By analysing the Framingham data, Christakis and Fowler say, they have for the first time found some solid basis for a potentially powerful theory in epidemiology: that good behaviours, like quitting smoking or staying slender or being happy, pass from friend to friend almost as if they were contagious viruses. The Framingham participants, the data suggested, influence each another’s health just by socializing. And the same was true of bad behaviours — clusters of friends appeared to “infect” each other with obesity, unhappiness and smoking. Staying healthy isn’t just a matter of your genes and your diet, it seems. Good health is also a product, in part, of your sheer proximity to other healthy people. You don’t need a lot of friends but you do need the right ones. 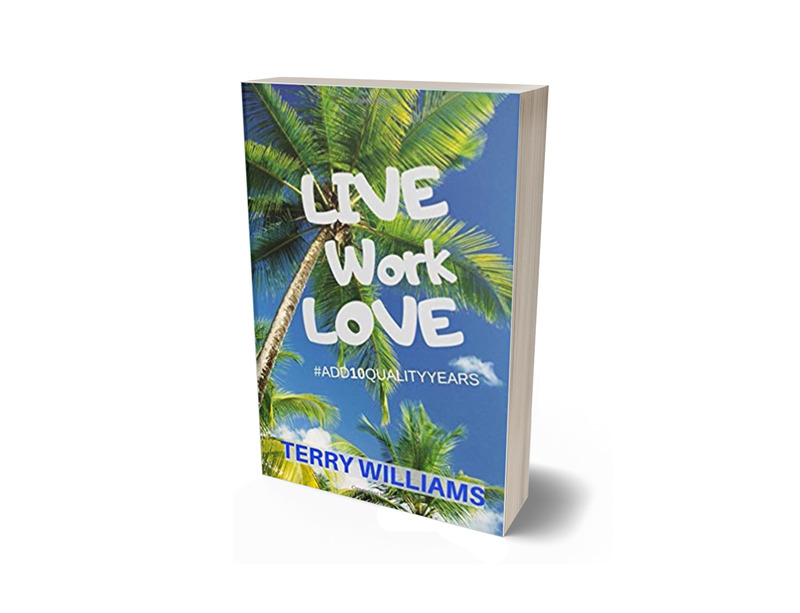 That was an excerpt from my book ‘Live Work Love: #Add10QualityYears’. Available on Amazon. Here’s an excerpt from my latest book ‘2 Dangerous Things A Year: Your ‘Change Evolution to get ‘Change Fit”. There are four stages in a person or team’s progress in evolving their change readiness: ‘Change Sloth’, ‘Change Strain’, ‘Change Workouts’, and ‘Change Fit’. Available on Amazon in paperback or Kindle. Sign up for a monthly email summarising posts like these. One example of a practice that may indicate you’ve entered the ‘Change Workouts’ stage is ‘Workplace Exaptation’. Exaptation is an evolutionary term for adaptations that evolved for one reason but later turned out to be useful for other things. Bird feathers originally were for warmth and attracting mates. It was only subsequently that they assisted in flight. There are plenty of Exaptation examples in business and workplaces too – what I call, ‘Workplace Exaptation’. Viagara, for example, was originally developed as a heart medication. Another significant benefit of taking a more proactive stance on change, trying new things, or doing 2 dangerous things a year, is that you test many small ideas. Even if those ideas don’t initially work out or seem to amount to much, you still have those ideas. Keep them. Store them clearly and logically so they’re retraceable for future reference. Both my kids worked their way through high school and much of university at the same local supermarket. That store had an idea. The idea even had a name – ‘Fresh Eyes’. Originally, and very successfully, the idea was that the weekly audit walk by managers required in their departments assessing things against a prescribed checklist should be rotated so that the audit walk was still conducted each week, in turn, but a different manager did it of a different department. It lessened the danger of over-familiarity and assumptions so they wouldn’t see the wood for the trees. The idea worked (and works) great so they could quite reasonably have left it at that and patted themselves on the back. But they didn’t. They asked themselves – if this is such a great idea, where else might it be applied. ‘Workplace Exaptation’ in action. They took that original idea of responsibility rotation and ‘Fresh Eyes’ and used it with job interviews. My son was employed in the seafood section. He was originally interviewed by someone from HR, not because they were from HR but because it was their turn. Next, it was someone from Produce, a less-experienced supervisor. They had fresh eyes and a different perspective on my son, plus it gave the interviewer some experience. Win-win! Lastly, he was interviewed by the manager of the seafood department. It’s a robust process structuring-in diverse perspectives, yet retaining consistency with a prescribed checklist. Successful ‘Workplace Exaptation’ in action. If you’re curious as to the extent to which your personality’s natural predisposition towards risk is contributing to being a handbrake or an accelerator on your progress, you can take my online assessment and find out. It’s at www.amIdangerous.com . This was an excerpt from my latest book ‘2 Dangerous Things A Year: Your ‘Change Evolution to get ‘Change Fit”. Available on Amazon in paperback or Kindle. What’s A Work-like Environment Like? I was pondering analogies to help me start writing this article. (If you don’t know what an analogy is, it’s like a simile or a metaphor. An analogy is comparable to metaphor and simile in that it shows how two different things are similar, but it’s a bit more complex. Rather than a figure of speech, an analogy is more of a logical argument). Analogy is a great joke-writing mechanism. If comedy pixies sprinkle their inspiration dust on comedy writers and jokes just occur to them, then that’s great but inspiration is fickle. If you’re hosting the concrete awards then you need twenty original concrete jokes in a hurry and that can be hard, um ,challenging. So, writers develop systems to prompt the elusive creative juices. Edward DeBono, in his book ‘Serious Creativity’ wrote about how many of these same creative processes can also be applied to innovation and problem solving in a workplace context. One common comedy creation approach is to brainstorm around a topic and list those things which are both similar to, or different from, that topic. Recently, when the news was all about a property developer’s proposed plan for a flash new waterfront stadium for Auckland, I applied that technique to create a joke. Jokes can be simply entertaining, or at least attempts to be entertaining, or they can also make a point. The point I wanted to make was that ambitious plans by private folk for public projects are notorious for big promises up front followed by cost escalations. You could write a thousand-word editorial about it or you can make the same point impactfully in an accessible joke, such as “The proposed Auckland waterfront stadium is estimated to cost 1.8 billion dollars. Although, that is just a ballpark figure”. My theme for this article is the workplace environment, so let’s analogise the workplace environment with the environment per se. If life is like a race and finding the best employees is like looking for a needle in a haystack, then maybe the workplace environment is like the actual environment? The environment is everything that is around us. It can be living or non-living things. It includes physical, chemical and other natural forces. Living things live in their environment. They constantly interact with it and adapt themselves to conditions in their environment. Sounds like work to me. Fun fact: In 2011, Matthew Davis, a psychologist and business professor at the University of Leeds, reviewed more than a hundred studies on workplace environments. His findings conclude that the noise and interruptions by colleagues in open offices had a negative effect on employees’ productivity, creativity and satisfaction. I work with a couple of big firms that have taken up brand new premises recently. They had every opportunity and the budget to pour over all the research on how workplace environment affects productivity and retention. They chose modern technology and it’s all very shiny. One choice interests me. They did their maths and found that on average only eighty percent of their people were in the building at any one point in time. Why, therefore, should they provide enough workspace for all one hundred percent? They provided space for just over eighty percent. Oh, and it’s all open plan. This goes beyond hotdesking and into ‘Lord Of The Flies’ territory as people battle for primo real estate as they arrive. Not to be confused with ‘Lord Of The Fries’ which would be a welcome addition to any workplace environment. ‘Lord Of The Fries’ claim to aim for ethical fast food, including sustainability. Noble intent. Some workplaces are going for that too. Recycling grey water, solar panels and providing homes for bees on their roofs, these firms not only want to have noble intent, it is very important that everyone knows they have noble intent. I think this is wise. Sure, talented potential employees comparing firms competing for their talent will think prospects, remuneration and skill development but, all those things being equal, this aspect of workplace environment could be a difference maker. Carbon neutral could be employee positive. Earlier I wrote that creativity can be stimulated. The environment can do this, or it can suppress it. In researching a presentation on creativity, I found a survey of executives ranking the locations where ideas were first come up with. In last place was ‘the office’. In first place was ‘travelling’. In second place was ‘the bath’. I found a chap who was a former bigwig in an international advertising agency based in London. They had a big map into which they would push pins to mark the geographical location where every account-winning idea was first concocted. Again, in last place was ‘the office’. In first place was ‘the pub across the street’. All of this certainly has implications for workplace environment. If nothing else, it’ll give the twenty percent who couldn’t find a desk somewhere to go with some justification. Signup to one email per month summarising these blog posts. Poor sleep heightens risk of dementia & makes you a pain to be around. Mark Wolverton wrote in Psychology Today of a seminal 2002 study that revealed a strong relationship between an individual’s reported sleep and mortality. “People who slept less than seven hours a night—or more than nine—were at increased risk for all-cause mortality,” says University of Pittsburgh psychiatrist Martica Hall. Other studies revealed a similar curvilinear relationship between sleep duration and conditions such as cardiovascular disease and obesity. Your body’s ‘Circadian Clock’ broadly follows the expected natural patterns of night and day with your brain and cells attentive to external cues such as temperature, sounds and light. Modern life and your behaviour messes with those natural cues to varying degrees at varying times. Plus we consume things like caffeine and alcohol. If you poured coffee, Red Bull or Jack Daniels into your TiVo, it would probably struggle to record ‘The Walking Dead’ at the right time for you. Your body reacts much the same way. Research from the University of Surrey published earlier this year helps explain how insufficient sleep alters gene expression – offering important clues to the ways in which sleep and health are linked at the molecular level. The study’s authors found that after a single week of insufficient sleep (fewer than six hours nightly) blood samples from participants revealed altered activity in over 700 genes, including those related to heart disease, diabetes, metabolism, and inflammatory, immune, and stress responses. Sleep is an essential restorative function, in more ways than one. But for a start, here’s just one way reported in Forbes by Melanie Heiken. When you sleep, your brain undergoes a cleaning process that removes waste linked to Alzheimer’s and Dementia, according to a study by the University of Rochester Medical Centre. They used imaging to look deep into the brains of mice and observed that the brain functions differently while asleep, mopping up accumulated proteins at a much faster rate. Led by Maiken Nedergaard, the researchers discovered that a waste-draining system they call the ‘Glymphatic System’ is ten times more active during sleep than while awake. This nocturnal cleaning system removes proteins called amyloid-beta, which accumulate into the plaques that may contribute to Alzheimer’s disease and Dementia. Researchers at the Erasmus MC University Medical Center in Rotterdam, the Netherlands, and the University of Surrey in the UK measured white blood cell counts in young men who sleep eight hours and men whose sleep was restricted, and found a spike in white blood cells, particularly those called granulocytes, released in response to immune system threat. So it would seem that severe sleep loss jolts the immune system just as stress does and, if that accumulates, it affects your health. It could quadruple your risk of a stroke. Though researchers don’t know the exact mechanism, it seems that chronic lack of sleep causes inflammation, elevates blood pressure and heart rate, and affects glucose levels, leading to a much higher stroke risk in the sleep-deprived. Sleep increases the ability of the four main healthy lifestyle habits (a healthy diet, exercise, moderate alcohol consumption and not smoking) to protect the body against cardiovascular disease. A study by the Harvard Medical School found that disrupted sleep patterns and irregular routines caused glucose self regulation in subjects to “go haywire.” Even a lie-in contributes to that. U.K. researchers Yvonne Harrison and James Horne reviewed multiple studies on the impact of sleep deprivation on decision making and problem solving. They concluded that it can lead to impaired communication, a lack of flexibility and willingness to try alternatives, a reduced ability to innovate, and an inability to deal with rapidly changing situations. Poor sleep leads to poorer decision-making and, often, one of those poorer decisions is to not do anything about the poor sleep. Most people are blissfully unaware of how impaired they are with even minor levels of sleep disruption, nevermind those who think they can rock on after pulling an all-nighter. Those heroic doctors and residents in hospitals working those famously long hours of theirs – a study in the Archives of Surgery found that residents were critically impaired by tiredness during more than a quarter of waking hours and that, when sleep deprived, they were 22% more likely to commit medical errors. A 2009 JAMA study revealed an increased rate of complications when surgical procedures were performed by Doctors who had less than a six-hour window for sleep between their last procedure the day before and the first procedure the next day. Poor sleep affects us mentally and physically in all spheres of our life. Once again, it’s utterly interconnected and can spiral if we’re not careful. We don’t need to be puritan about it, just sensible. Easier said than done it seems for many. Sheldon Cohen’s researchers at Carnegie Mellon University tested sleep and immunity. They exposed healthy adults to cold viruses, isolating and monitoring for five days afterwards. People who had been recently under stress showed increased resistance to Cortisol. They also found participants had more Cytokines, which trigger inflammation. So what does it all mean? That when you get stressed out and stop sleeping, or stop sleeping well, you get sick. So, poor sleep can lead to dementia, stroke, depression and lowered immunity to illness generally – all of which feeds on itself in a negative spiral. How much sleep should you get and how can you improve your odds of getting that? Soft ear plugs, eye shades, routine, listen to white noise, no caffeine or alcohol. For most people, the best sleep duration is seven hours. Those averaging eight hours have 12% worse morbidity than those sleeping seven. From a longevity point of view, it would be better to sleep five hours than eight. “People who slept less than seven hours a night – or more than nine – were at increased risk for all-cause mortality,” says University of Pittsburgh psychiatrist Martica Hall. A sleep-supportive evening meal would not be too late and would consist of complex carbs, magnesium and protein. Examples are chicken with broccoli with a low-fat cheese sauce or a cheese and vegetable pasta. Chuck in some spinach or kale for the magnesium. Other options include dark leafy greens, pumpkin seeds, mackerel, tuna, beans, brown rice, avocado, plain yoghurt, bananas, figs, or dark chocolate. Don’t eat less than two hours before sleeping and keep night-time meals light on the spices. Check your mattress and pillow. Make your bedroom a couple of degrees cooler than the rest of your house, irrespective of the season. Darken your rooms the hour before your bedtime. Light affects our melatonin levels and that’s a big player in sleep. The light from TVs and smartphones will mess with that. Smartphone screen illumination can suppress melatonin production by 20%. It is bad enough that you’ll fret about some email you checked when you didn’t have to at 11pm but that light smacking your eyeballs will make it worse. It may be that the electronic paper screens of eReaders do not have the same negative effect. One app that adjusts the light emanating from your device is ‘f.lux.’ It knows what time it is where you are and what the natural light levels should be. It knows that your eyes should be receiving signals from that environmental light to synch up with your biology for, amongst other things, our sleep cycle. With that knowledge, it filters and adjusts the light type and levels to suit. Computer screens, tablets and mobile phones emit full spectrum light around the clock, just like the sun. Exposure to blue light at the wrong time of day can keep you awake later and interfere with the quality of your sleep. f.lux tries to help this by removing blue and green light to help you wind down in the evenings. At the time of writing, they’ve had 8 million downloads. I have another iPhone app called ‘Sleep Cycle’ which monitors my body movements as I sleep and works out where in the sleep cycle of my circadian rhythms I am at. I might set the alarm for 6am but it can unilaterally wake me at 5:47 if that is the optimum time closest to 6am for my brain’s cycles. No doubt there are other products. I can’t swear for the science behind it but when I’m having trouble sleeping, usually during periods of extensive travel where all the exercise, eating and stress patterns go out the door, I find it helpful. It may actually exist for real now but I saw a single-frame cartoon of an iPhone alarm clock app with the snooze button costing you $1.99. It’s funny, but with a real seed of truth about it. Rather than stumble around for ages hoping our boss and team (or family and friends) figure out how to handle us and get the best from us, probably annoying everyone along the way, why not work it out ourselves quickly, write it down on a single page and give it to them? Have you ever googled ‘Why are millennials’? I recently hosted a conference at which the average age of the attendees was, um, above average. I’m no demographologicalist (not a word) but I do recall something from high school geography about a baby boomer bubble working its way through the timeline of the economy. I’m a Gen X-er myself so I can judge those either side of me and feel highly inclined to do so mercilessly. This lumpy cohort on a graph somewhere is in fact a large bunch of real people, not just a statistic, and they are at, or approaching, what has traditionally been considered retirement age. There has for years been much alarm at the potential impact as their productivity and ‘wisdom’ departs and their needs wreak havoc on our welfare state, health systems and golf courses. I raise this in a magazine where the theme options I was given were performance management or engagement / retention. My focus is not so much on these boomers ahead of me but the millennials behind me. This conference and the industry from which the attendees were drawn have a problem I’m seeing around a lot or, at least, the perception of a potential problem. What is going to happen to their organisation and industry once the boomers depart? Where is the replacement expertise and leadership going to come from? Performance managing those contemplating some form of retirement or de-emphasising their nine-to-fiving needs conscious effort from employers, as is engaging and retaining these folk who may have a lesser need to work to live. As conference MC, I could not help but notice the professionalism of the audio-visual team of ninjas dressed in black at the back. Often unnoticed as they twiddle dials and switch cables, they clearly sussed their audience and their background music playlist was very skewed to hits from the late 70s and early 80s. (I’m not complaining). No doubt, the vast majority of the people enjoyed it but there was a group of targeted emerging leaders who were not born for Born In The USA. Now, I do not remember the moon landing but I was alive when it happened and I still know it happened. (Shut up, it happened!) This group of people seemed to enjoy the Eurhythmics but in a way that maybe I enjoyed classic Elvis, as a historical curiousity. The emerging leaders programme, and those like it, are a great idea, partly because it is just is, but it is also a sensible response to the demographic problem. Having a pipeline of replacement expertise and leadership isn’t just a distant academic moot. It is an imminent drop-off. Find these people, connect these people, develop them and challenge them. That way, they’ll be available and tooled up before you need them, not when or after you need them. How do employers engage, retain and performance manage these people? 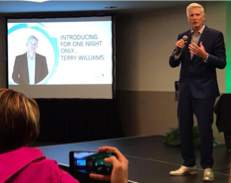 Spoiler alert: It does not include muttering, “Kids these days” or “Get off my lawn!” A couple of these emerging leaders also presented at this conference and in that well-researched and entertainingly presented slideshow were some myths debunked and some practical advice. It definitely included a rebuttal of spending too much money on smashed avocado on toast being the cause of any problems affording a house. Firstly (and this checks out) – typing “Why are millennials” into google gives several autofills, the first of which is, “Why are millennials so depressed”? Ouch. Change the question to, “Why do millennials…” and the top two autofills are, “Why do millennials travel” and “Why do millennials leave jobs”? That doesn’t bode well for engaging and retaining experts and potential leaders. That’s your institutional knowledge and memory walking out the door and ending up on a Korfu beach or up a Peruvian mountain. The myths addressed by the two women were millennials are screen addicts, are bad with money, spend too much time at university, are narcissistic, and are all dreamers. Sweeping stereotypes and generalisations anyone? The screen addiction is a connection multiplier and a tool of engagement. The millennial leaders you have are more than connected than ever to others who might join you. Rather than disparaging it, consider leveraging it? But it is fair enough that people of any age actually do their jobs and not live on social media, unless their job is social media. Like anything else in performance management, clearly set expectations and feedback as soon as those expectations aren’t being met. Whether they’re on a phone or reading the racing pages of a newspaper, if breaktime is over, it’s over. The money thing is an issue but engaging doesn’t necessarily require more money, although millennials and every other demographic segment will take it if you’re giving it away. Support, development, variety and flexibility go a long way. In that sense, I’m a lot like a millennial myself. And, not just because some days I feel a thousand years old. Diversity: It’s Not All About Your S.E.L.F. I’ve recently run large diversity and inclusion programmes in some big organisations. I didn’t plan to. I don’t have it on the list of things I do. It was demand-driven. I was asked to. I am acutely aware that in the dictionary, next to the word ‘diversity’ is a picture of me with the caption ‘not this guy’. I’m white, straight, male, able-bodied, tall, etc. The only aspects of me of disadvantaged diversity are that I grew up poor and I’m weird. And, most days, I’m pretty good at keeping those two under wraps. In putting the programmes together, drawing on some genuinely diverse people and resources, I merely facilitated lots and lots of groups of people. It would be too easy to have talkfests that meant a box could be ticked on someone in HR’s plan without anything being achieved or changed. If diversity was easy, it would have been done and programmes wouldn’t be needed. We were committed to making this effort one that was about actions and change. Overt bias is easy to deal with for a workplace leader. Often, it’s against a policy or a law. Tougher to deal with is unconscious bias, especially if it’s your own. Years ago, I did my own little piece of research around job descriptions with only one variable changed. That being the name – to make it very female or very non-Anglo. As with many other pieces of research, people with male Anglo names were offered more interviews and received higher salary offers etc. When presented with the research, those who had been researched almost invariably refused to believe it, thus showing that there is also unconscious bias blindness. Our brains are lazy, energy-suckers that desire to save power. One way they do this is via stereotypes, assumptions and suspicion of novelty. Back in caveman (caveperson) times, this was cool. Not so much nowadays. Few would argue to your face that diversity is not the right thing to do but businesses don’t always take that tack. There is a strong business case that means it can be done without having to be a nice guy. (Note to self – find a more inclusive term than ‘guys’. I still struggle with my automatic informal noun for people when I’m in front of a group. I baulk at “folks”. Suggestions welcome). A GE study in 2008 discovered that diverse teams delivered productivity growth of 21% compared with a productivity growth rate of 13% from a homogenous team. Diversity Inc found in a survey of 256 companies that the 50 most diverse companies outperformed the NASDAQ index by 28.2 %, Standard and Poor’s 500 index by 24.8% and the Dow Jones Industrial Average by 22.4%. Diversity is productive and profitable. In our workshops, we had an activity where everyone lined up at a ‘starting line’. Everyone got a randomly selected card with a description of a person. For the activity, they would ‘be’ that person. (Not a roleplay, so don’t panic). I would read out a scenario and if that scenario was no problem for their person, they would take a step forward. A seemingly innocuous scenario like having a team meeting at the pub after work on a Friday evening gets only a quarter of the group stepping forward. Similar results occur for each of the four scenarios until we finish with a few people four steps ahead and the rest spread out and several people having taken no steps at all. In debriefing, participants discovered that everyone had very diverse people on their cards with very different circumstances. Differences in language, gender, income, ability and so forth meant that for some the simple after work meeting was a hassle, inconvenience, extra expense or simply not viable. A missed team meeting by itself means little but they accumulate and maybe someone isn’t seen as a team player or worthy of promotion or a pay rise. It was a powerful and physical demonstration of a problem that opened some eyes. Few deliberately set out to discriminate against people who are different to them but not everyone stops and thinks about how their decisions might affect those who are not like them. It’s easier not to. Curse those lazy brains. To counter this, we had our little model with its acronym: S.E.L.F. Spoiler alert – the S stands for “Stop and think”. Early 90s rapper Vanilla Ice (possibly the least diverse name ever) had a line in his biggest hit, “Stop, collaborate and listen…”. Good advice. We think better generally when we slow down according to Nobel winning psychologist Daniel Kahneman. Rarely is our first thought our best thought. One group in one diversity programme made a poster that went up around the company with their own catchphrase that would fit nicely in a rap song one day, “The more variety, the better for society”. The halo effect is a cognitive bias where one trait influences our general perception of other traits of that person or object. Remember, right at the start of the book I mentioned that interesting-but-useless study showing that people with asymmetrical faces make better leaders? Symmetrical faces are seen as better looking. Here’s where the halo effect often kicks in as the first thing we experience of a person is usually how they look. If we’re not conscious and careful then that can unduly influence how we see everything else about them. There are two names below with a few describing words for each. Which person do you view more favourably? Most people prefer Alan but, soon enough, you realise Ben has the same describing words but in the reverse order. Because Alan’s positive words came first, they coloured most people’s perception of him positively overall. It may be when you read Alan’s and Ben’s descriptors that you summarised the situation clearly and logically in an instant and declared they were effectively the same calibre. Well, this is a book full of psychological tricks and you went into that little exercise expecting a psychological trick and that is exactly what you got. At work and in life, you aren’t waiting for psychological tricks around every corner. When you enter a job interview, meet a salesperson or conduct a performance review, you need to be aware of the potential for the halo effect and its flipside that I’m choosing to call the pitchfork effect. Falling for it isn’t a weakness, it’s natural, if you let your brain take that easy effortless road it desires so much. The Halo / Pitchfork effects combine dangerously with cognitive dissonance. Daniel Kahneman not only studies and practises psychology, he also teaches it. He is compelled to mark exams and term papers. Often they come in bunches and often there are multiple pieces of work from the same students. He found that the first piece of work he marked for each individual influenced his subsequent marking for that individual. For example, if I scored highly on the first paper, that must mean I’m good at psychology. That subconscious assumption gets me the benefit of the doubt every time Kahneman subsequently marks my work. And it works to my detriment if the first piece of work scored poorly. Ambiguity gets forced to fit an existing pattern. Kahneman attempted to allow for these effects by making the papers as anonymously and randomised as possible. If you’re leading someone and they make a mistake, to what extent is your reaction to that mistake coloured by your initial experiences with that person? This is called the ‘Diagnosis Bias.’ Once we label someone, we put on blinders to any evidence that contradicts the label. Homophily is the tendency to like people who are like us. How often when conducting a job interview and you get ‘a good feeling’ about a candidate is that due to homophily? I don’t drink coffee but the principle remains valid. Up until 5 minutes ago, it was just an OK Friday. Now, it’s good.